BBQ and Golf Tournament Raises the Green! 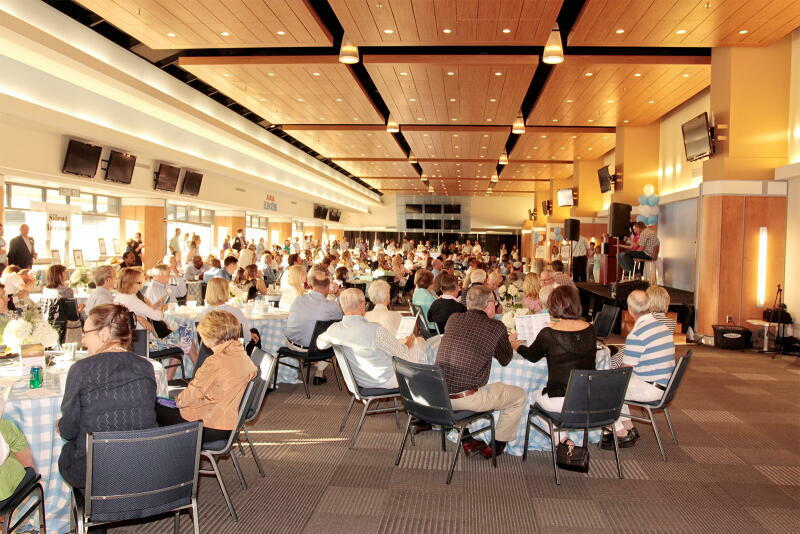 Tar Heel coaches, student athletes, Family House guests and hundreds of our supporters came together for the 2015 Tar Heels for SECU Family House BBQ and Golf Tournament. Eric Montross hosted the successful two-day event raising $97,600 in net proceeds - which covers the cost to operate three of the 40 rooms at Family House for an entire year! 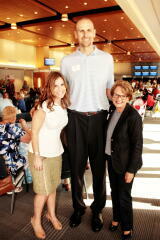 The new BBQ venue, Avaya Blue Zone, was a big hit with new attendees and long-time supporters alike. There was plenty of room to socialize and listen to the fabulous bluegrass music of Big Fat Gap. Student athletes led tours of the Olympic Sports Weight Training Facilities, and Rameses welcomed kids of all ages. Family House guests Bill and Judy, marines from Camp Lejeune, talked about the positive impact of staying at SECU Family House: how they appreciate that all of their needs are met with affordable housing and delicious meals, and how they value the support network they've formed while meeting other guests going through similar circumstances. Rocky Top Hospitality donated a delicious barbeque meal complete with pulled pork, tender chicken breasts and interesting salads, followed by delicious treats. Tar Heel legend Woody Durham served as auctioneer, with the Voice of the Tar Heels, Jones Angell, serving as the evening’s master of ceremonies. 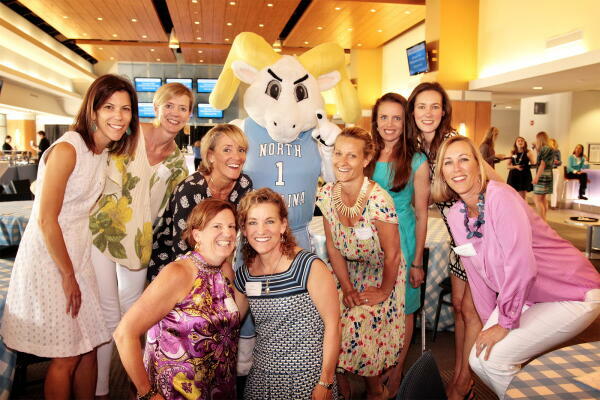 Silent auction items featuring local Chapel Hill experiences were popular with attendees, and the live auction piqued the crowd's sense of adventure as well as pride in Tar Heel athletic teams. A cool, sunny day made for an excellent round of golf on the morning after the BBQ. Meals were donated by Time Out, Café Carolina and The Chapel Hill Restaurant Group. 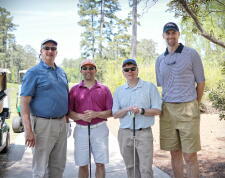 Performance AutoMall sponsored the Hole-in-One contest and MHAworks Architecture sponsored a $10,000 Putting Contest. Too bad no one won this year, but maybe next year! Thanks to our hard-working committee for helping make this event such a success. See you in April 2016!